The asphalt industry is made up of project managers, plant managers, quality control personnel, road crews, administrators and various support personnel - all of whom play a vital part in constructing and maintaining the roads that we use every day. Whether you're a high-school, technical school or college student, recent graduate, or mid-career professional, asphalt just may be the place where you will find your niche. 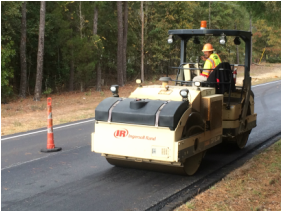 Careers in the asphalt pavement industry are not limited to road work: many civil engineers, technologists and researchers with advanced degrees are necessary to ensure the quality and safety of our road system. Companies also need white-collar staff including financial personnel, marketers, and many others. Check out our opportunities in the asphalt industry! SCAPA has created an internship program for both degrees in civil engineering, civil engineering tech or construction science in order to promote the asphalt pavement industry and educate students about asphalt pavements and careers in the industry.